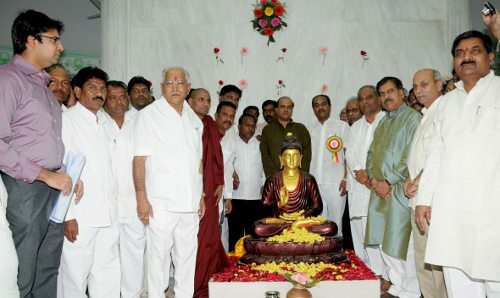 The Ambedkar Bhavan situated in Sadashiv Nagar was today inaugurated with the presence of B S Yedurappa and CM Sadanand Gowda. 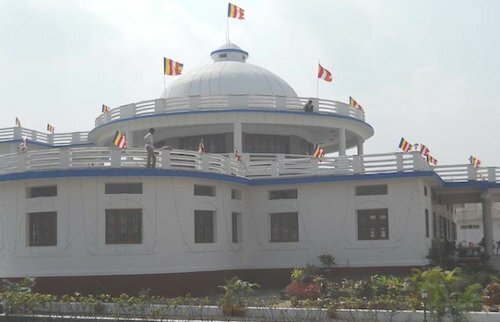 The bhavan taking inspiration from Buddhist monastries was built at a cost of Rs. 3.94 Crores. The Bahavan has come been built on 13 guntas of land. Karnataka Rural Infrastructure Development Limited (KRIDL) had completed this building in 2009. Inauguration dates were postponed four times following the controversy of over selection of guests. The foundation stone for Ambedkar Bhavan in the city was laid in 2006. Government had released Rs. 3 crore for the project and the Belgaum City Corporation would contribute Rs. 50 lakhs.